Boat Length: 17' - 19', Max. 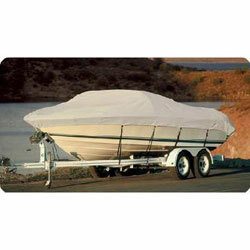 Beam Width: 102"
Strong 1: wide tie-down loops to secure the cover without scratching the boat. Sizes to fit most models.